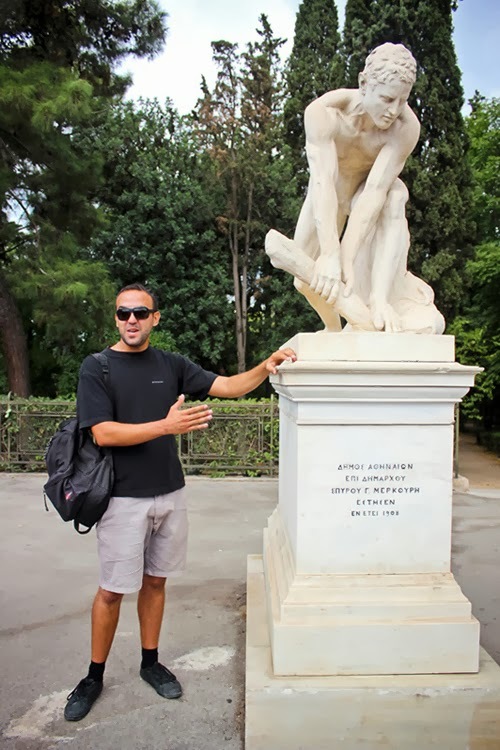 When I was researching for my birthday trip, I was delighted to come across free tours in Europe. I was skeptical at first thinking it was unsafe or a scam. Needless to say, there are legit tours out there. You need to do diligent research to verify the legitimacy of it. 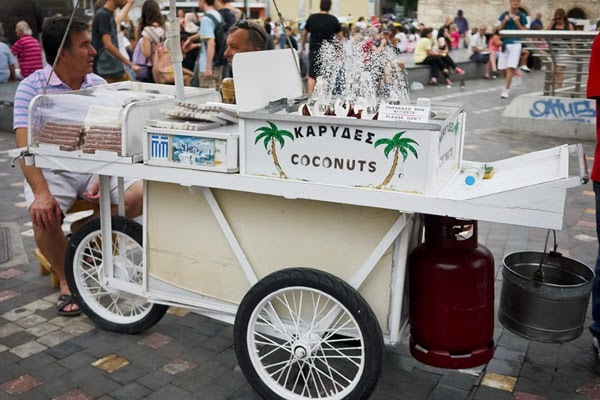 My first taste was in Athens for the Athens Free Walking Tour with George. 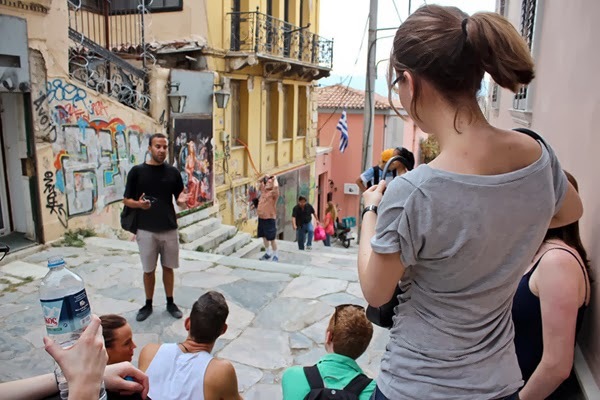 The Athens Free Walking Tour has specific dates and time; they require you to confirm your attendance via email. As you can see on the site, there are different 3 tours (English, Spanish, French) and a corresponding email address to confirm your booking. The meeting place is easy to spot. You see the bright yellow mailbox? 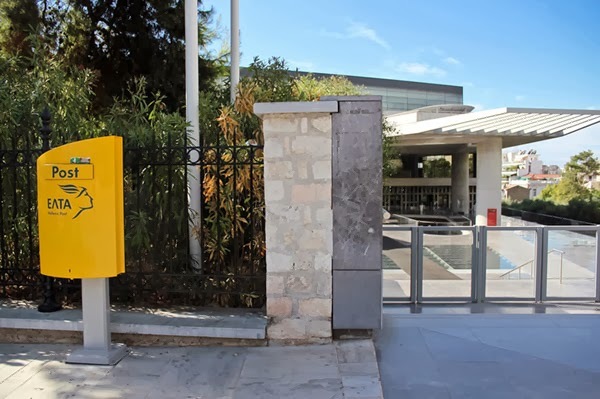 That’s the meeting place in front of the Acropolis Museum entrance. The tour takes 2.5-3 hours. Be comfortable clothes and shoes to enjoy the experience fully. There are a lot of free sites, to enjoy. Technically, you can just google these places and have your photo taken in front of them. Tin and I wanted to know about these places and not just have our photo taken in front of them. 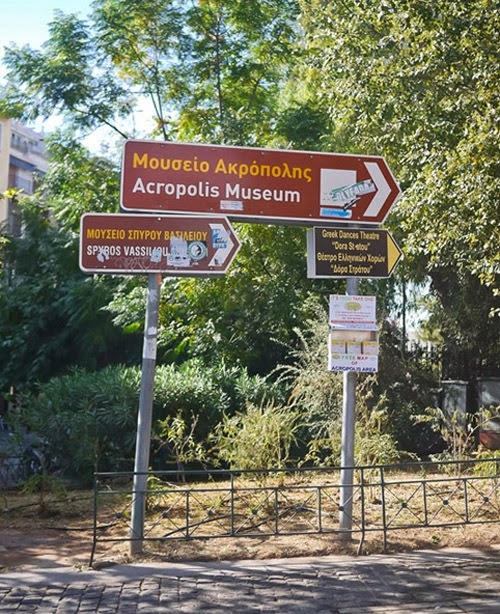 You know you’re in Greece when there’s a historical site right near the sidewalk! Bonggels. 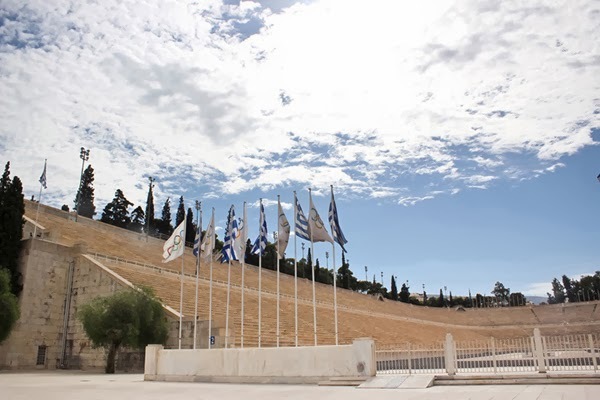 This stadium holds the distinction of holding the very first Modern Olympics in 1896. The photo you see above is just the front of the stadium. Check out this aerial view of the stadium. 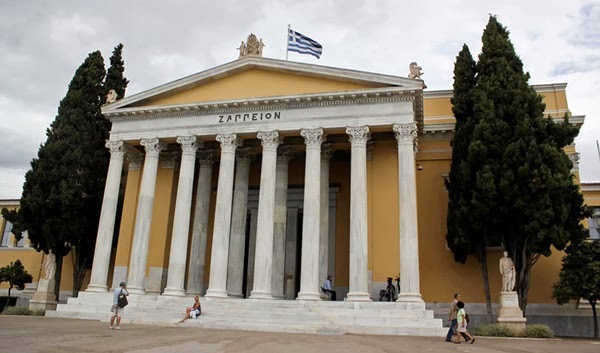 The Zappeion was built specifically for the first Modern Olympics for fencing. 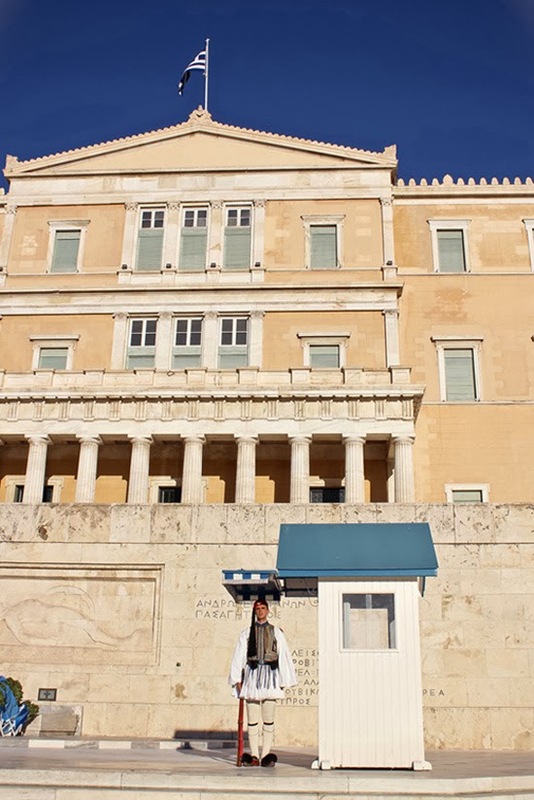 Now, it is used for official state business and private meetings. We weren’t able to check out the whole building, just the façade and the lobby. A tour with a shopping spot? Ding ding, you got me! 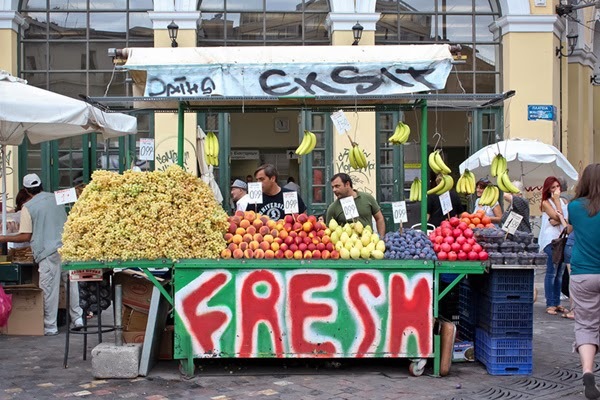 Haha George gave us a brief backgrounder on one of Athens’ oldest markets. 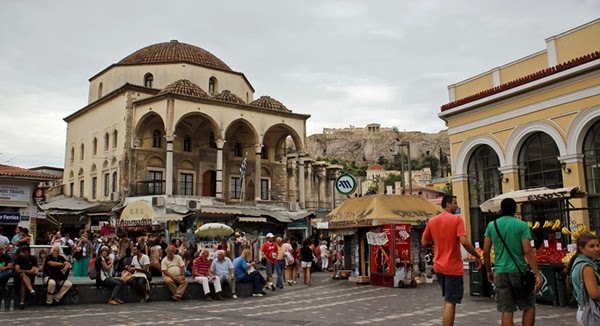 When I think of a market, I usually have an image of our local palengke but Monastiraki is a cleaner and more organized version. 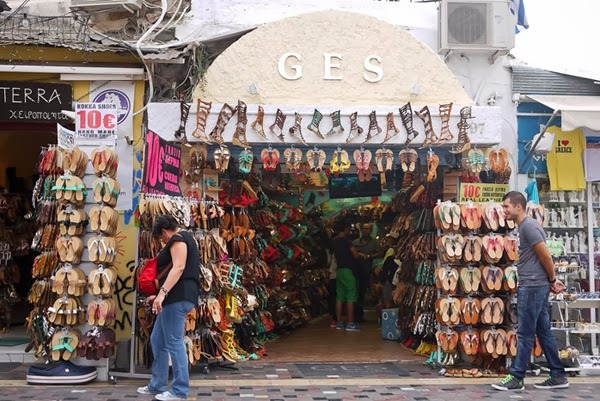 It is a complex with different shops, restaurants and vendors. Think of it as a BGC kind of complex being open but with food and shopping options like Greenhills. 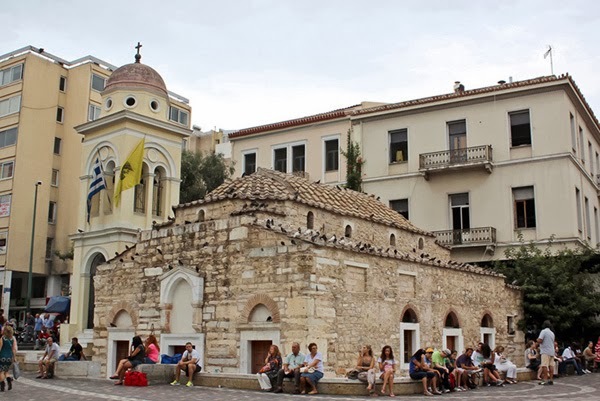 Right in the square stands the quaint Monastiraki Church which was built in the 10th century. 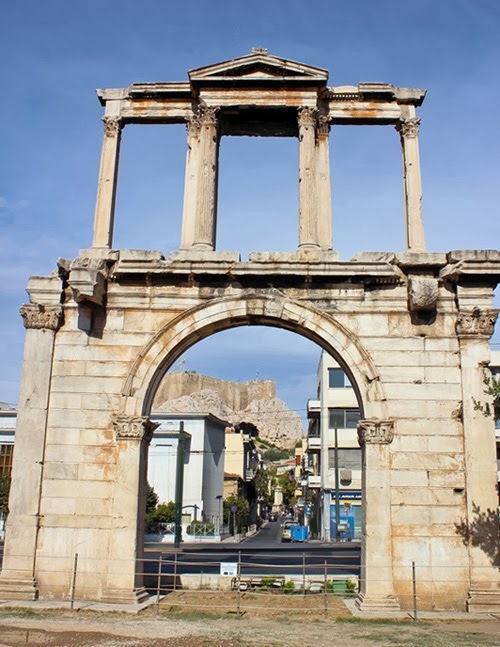 The structure you see today was restored in 2007. 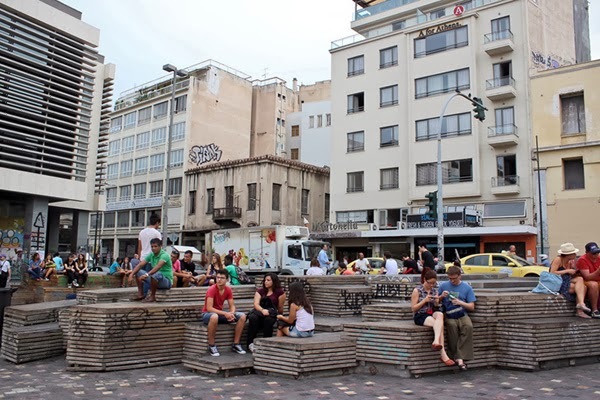 They have a lot of open areas like this in Europe where people can hang out. 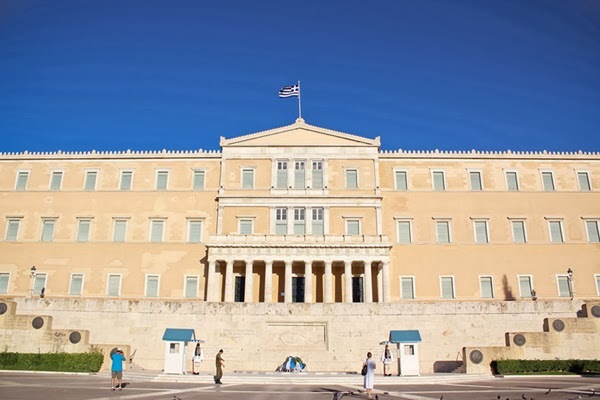 The Parliament building is located at Syntagma Square and is used as such today. The Tomb of the Unknown Soldier is dedicated to all the soldiers who died in service that was never identified. There were protestors in the area during our visit. 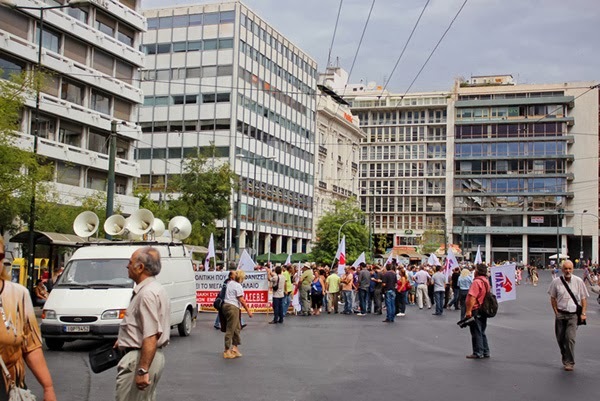 As we all know, Greece is going through a problem. Like in London, they also have the changing of the guards here although we weren’t able to catch it. 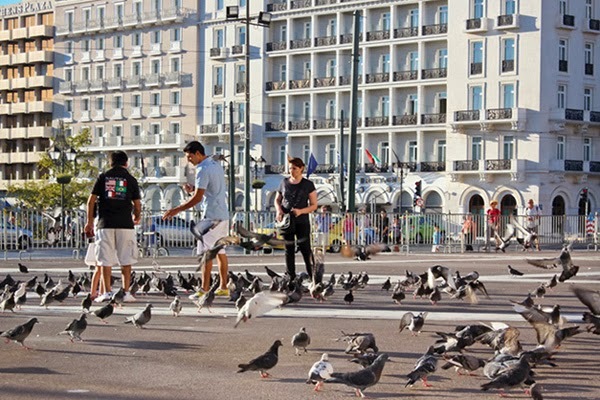 Expect to see a lot of pigeons. 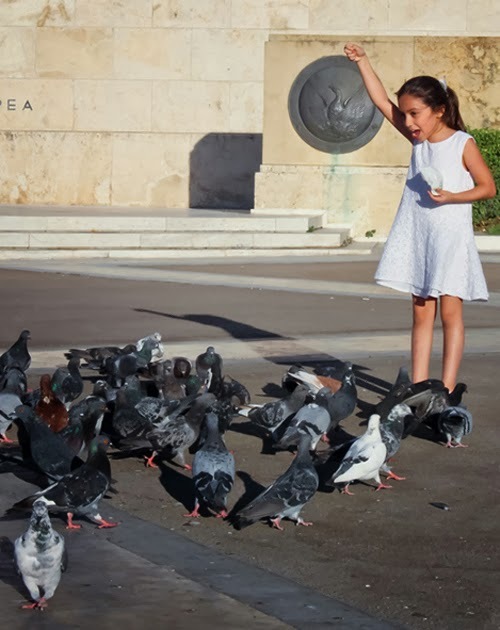 This little girl had a blast feeding them. I have another photo to add to my cartwheel series! Looking at the hill from below seemed daunting, can I seriously climb that in shoes not meant for climbing? Thankfully the trek was divided into sections. The last climb had 2 options: do it old school as pictured above or use the metal stairs. I opted for the latter. The cobbled stairs look easy but it gets steep and curvy in a lot of the areas. The view from the Hill of Ares. You will be visiting a lot of the historic sites but not enter them. The sites have entrance fees which you can buy and visit on your own time. Our group did pass by these sites and our guide George gave information about them. 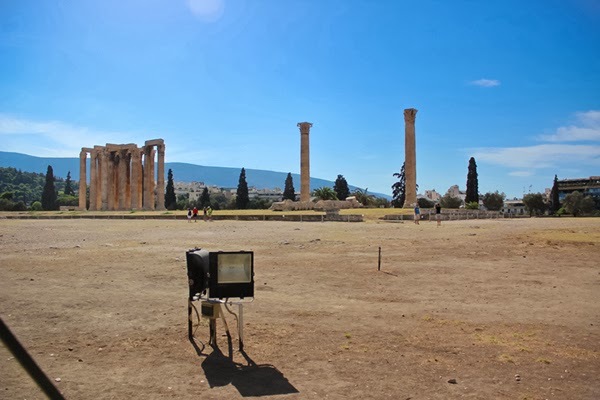 We caught a glimpse of the Temple of Zeus at Hadrian’s Arc since they’re neighbors. 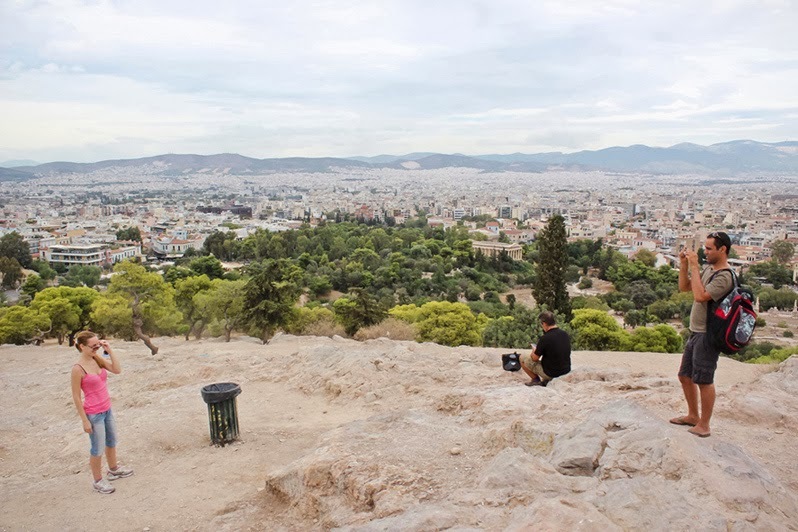 You can also see it once you trek up the acropolis. 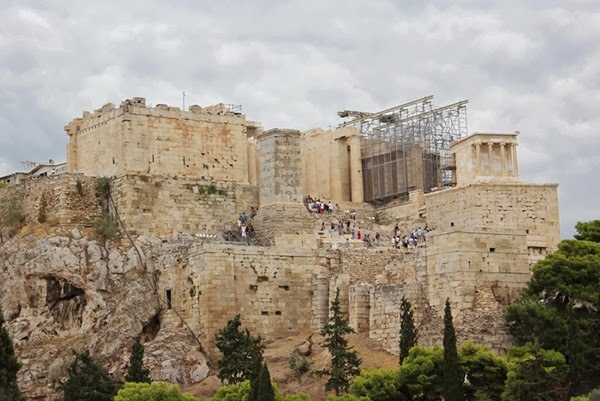 The Acropolis was our last stop in the free tour. George gave us more information about the famed spot before we parted ways. We had a magnificent view of it at Hill of Ares. 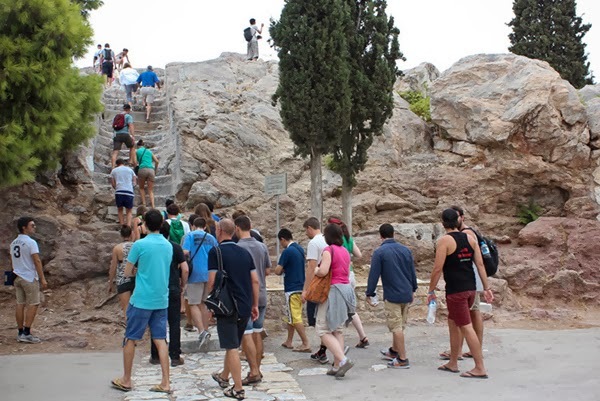 I highly suggest visiting the Acropolis after the free tour because you wouldn’t want to keep trekking up and down the whole day. Our soundtrack for the trip was “The Climb” by Miley Cyrus. Haha The Acropolis will have its own entry. If you have short legs like us, stay in front. It’s free so please tip generously. Our tour guide for the day was George. He was an excellent guide and showed concern for every own on the tour. He made sure the group was complete whenever we transferred to the next location. He was easy to understand and was friendly with everyone. Don’t tip because it’s free; tip because it IS free and you got an exceptional tour in the process. I know we did. I had to keep pinching myself, is this real? Am I actually in the presence of these structures that I read about in school? It was fascinating to be surrounded by so much history and architecture. 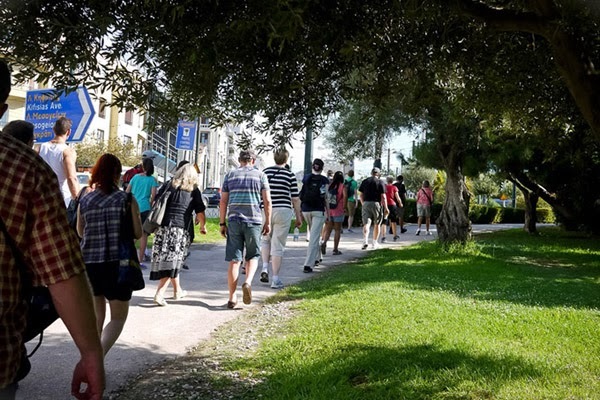 The Athens Free Walking Tour is a wonderful start to any trip to Athens to give you an overview of what the historical city has to offer. Soak in the knowledge and enjoy! * Additional photos from Tin Samson. 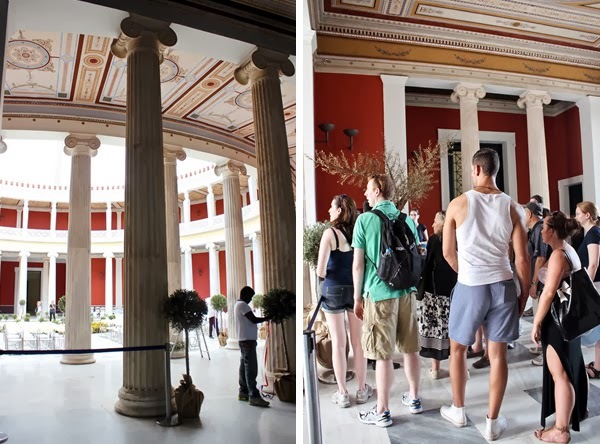 For other hotel options in Athens, click here.